This parts contains the sequences encoding for the colicin E2 DNase fragment BBa_K1976048 and the immunity protein Im2 BBa_K1976026 both under the controle of anderson promoters. 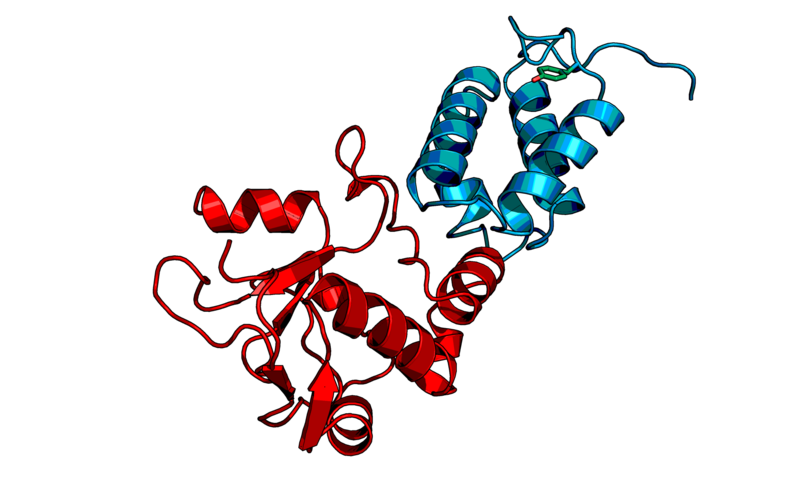 Figure 1: The structure of the Im2 immunity protein and Colicin E2 in a complex. Safety is an important aspect in the synthetic biology on one hand to prevent the transfer of recombinant DNA to natural organisms but on the other hand it is necessary for companies to enable copy protection of the DNA of their GMO. This part units these points using a new safety mechanism. The DNase fragment of colicin E2 wich enables DNA degradation is inhibited by its immunity protein Im2 wich can only be synthesized under the presence of a non-natural amino acid (nnAA). Cells transformed with this part need a constant addition of the nnAA to survive. If they leave the laboratory environment, the immunity protein will not be synthesized due to the lack of the nnAA and the DNase will degradate the DNA so the genomic information will be lost. The DNase fragment of colicin E2 has a molecular weight of 15.2 kDa and consists of 133 residues what conforms to about one third to colicin. We used only one of the three domains of colicin since the metabolic burdon would be significant smaller. The activity tests showed that the so called miniColicin has functional DNase activity. The immunity protein has a molecular weight of 10.0 kDa and the modeling of the binding to miniColicin predicted a very strong binding. Figure 2: SDS-PAGE of the Colicin E2 DNase domain, the blue arrow marks the band of the expression. 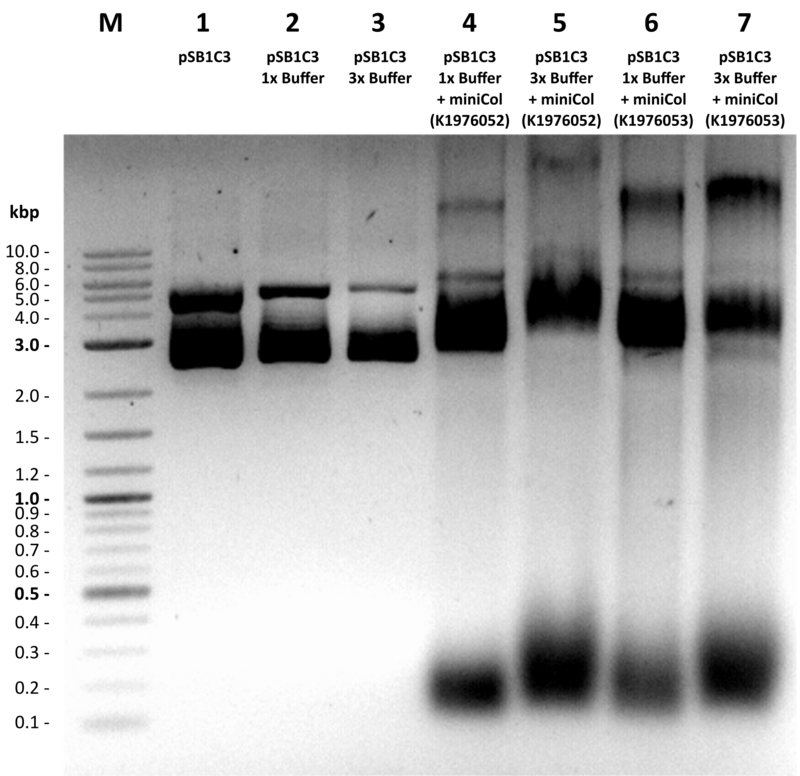 From left to right: Top10 E. coli, Top10 E. coli transformed with BBa_K1976052 and Top10 E. coli transformed with BBa_K1976053. 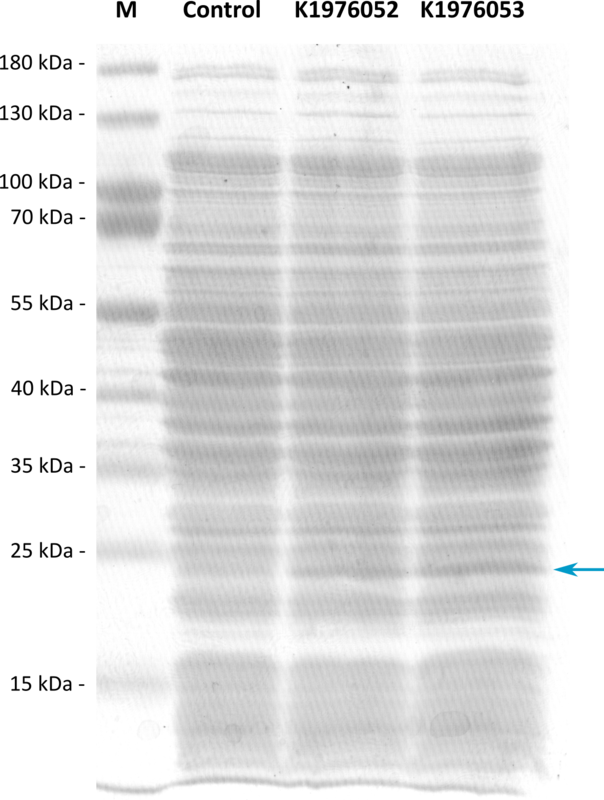 Figure 3: 1% agarose gel electrophoresis, stained with HD-green. The protein product from this part was cleaned up and used in different concentrations to test its activity. From left to right: pSB1C3 alone, pSB1C3 in the lysate buffer 1x, pSB1C3 in the lysate buffer 3x, pSB1C3 incubated with lysate of Top10 transformed with BBa_K1976052 1x, pSB1C3 incubated with lysate of Top10 transformed with BBa_K1976052 3x, pSB1C3 incubated with lysate of Top10 transformed with BBa_K1976053 1x, pSB1C3 incubated with lysate of Top10 transformed with BBa_K1976053 3x.